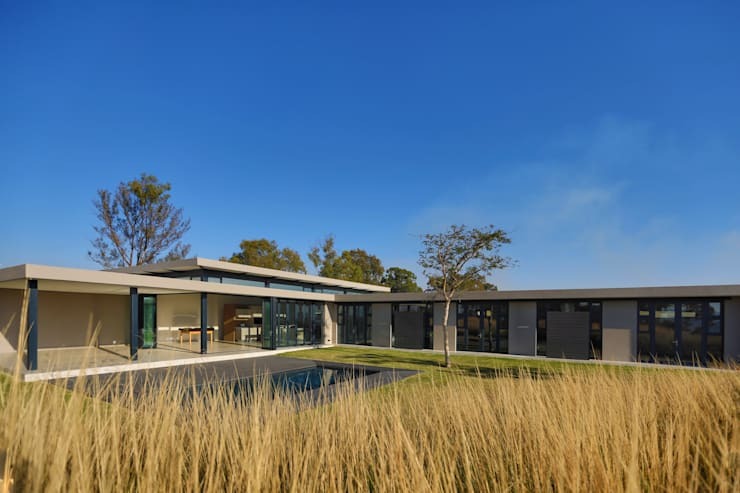 Architectural firm Reis from Johannesburg bring us our newest homify 360° discovery, which is ‘Bach Village’, situated within the serene landscape of Monaghan Farm and which supports the idea of farm living in a residential estate. 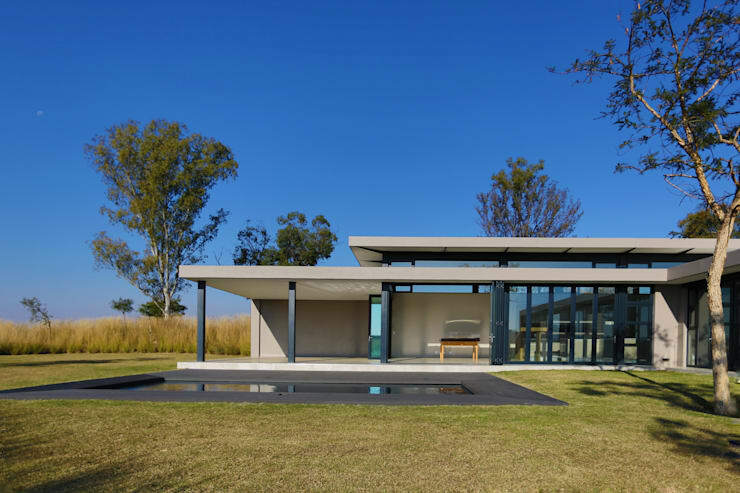 These experts have designed a series of modular houses that can be uniquely adapted to 38 stands to create homes suited to the individual needs of each home owner. 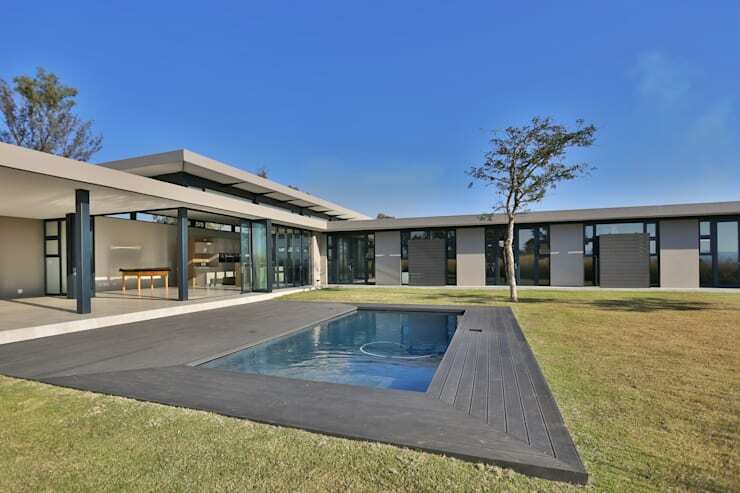 Built by Mayborn Properties using a lightweight steel-frame construction system, the house features an energy-efficient, water-based underfloor heating system, double glazing, insulated cavity walls, solar geysers and other high-performance energy saving materials and systems, which makes it the perfect structure for the modern-day, environmentally conscious resident of the 21st cetnruy. 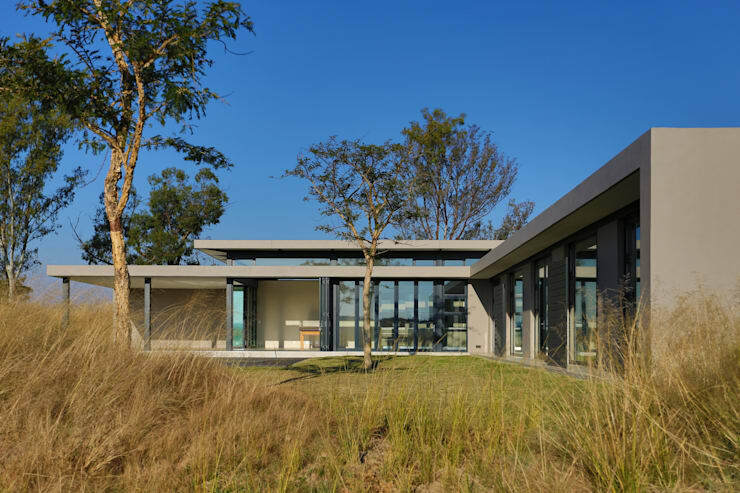 Each home will be nestled into the landscape, surrounded by wild highveld grasses and indigenous trees offering privacy and serenity that also contrast quite superbly with the modern and sophisticated architectural form of the houses. Even though the rear side of the house features all the same delightful ingredients as the front, here we get to enjoy a much more open view of the house, not to mention a pristinely maintained yard. 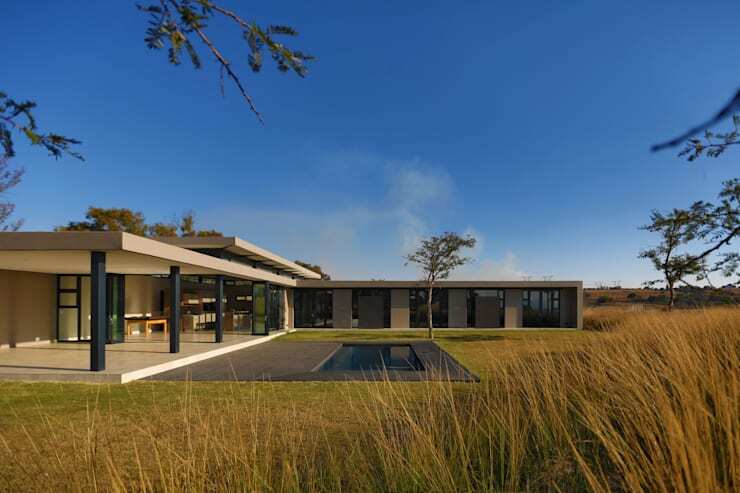 And speaking of which, how gorgeous is that swimming pool nestled into the wooden deck – fancy a pool party with a lush bushveld-like setting as the backdrop? 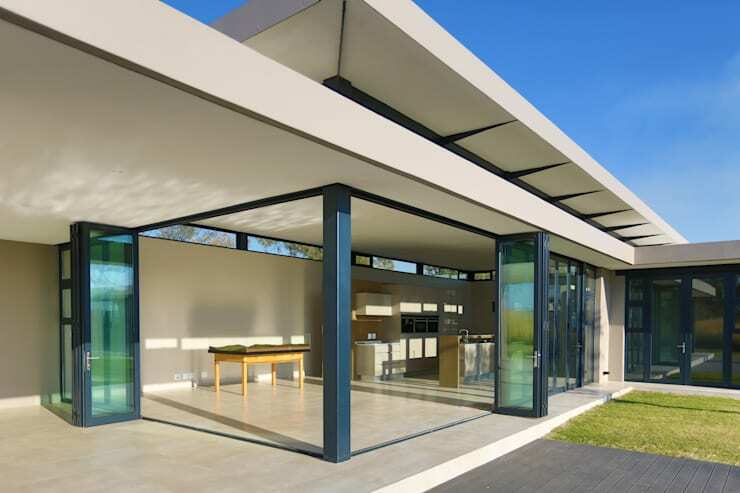 All it takes is the flick of a switch and the folding up of the bi-fold doors to allow the sleek interiors to become one with the magnificent outdoors – quite perfect to enhance the social ambience of that get-together, regardless of whether it’s being hosted indoors or outside. 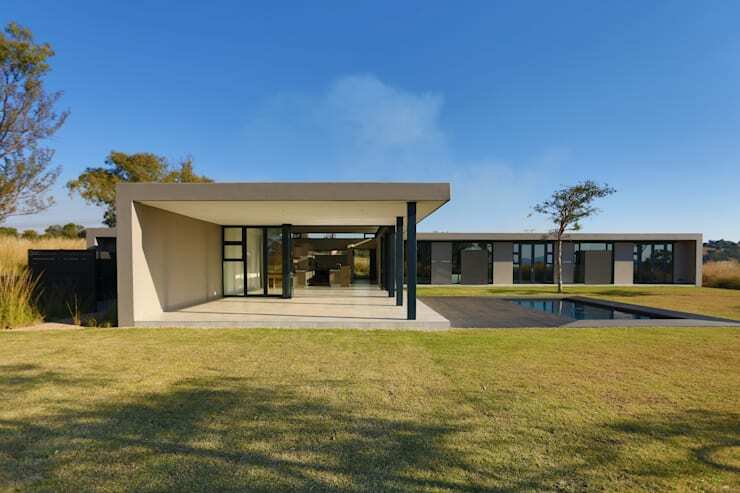 Shall we scope out a few more images of this delightful house? 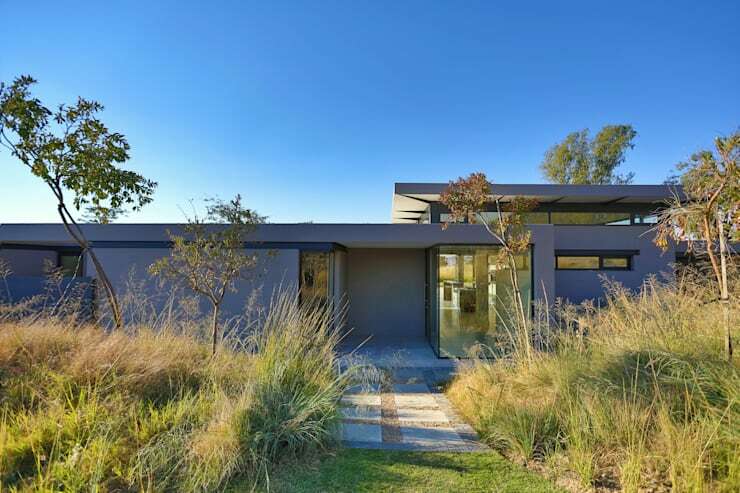 Next up on our viewing list: A contemporary home with creative charm.